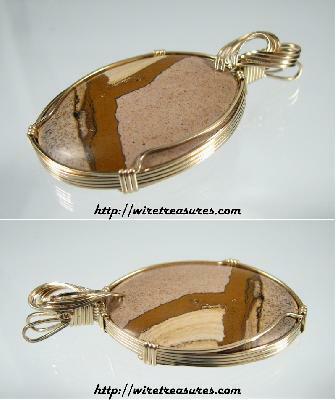 This big oval cabochon is called African Queen. It's a softer material from Afica that can have bold "landscape" patterns. This one looks like a satellite photo of a muddy river junction. It looks terrific wrapped in 14K Gold Filled wire; has an elegant topper. 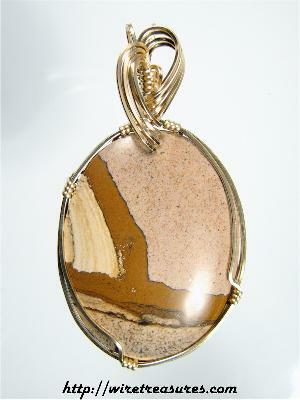 This one is a great summer time pendant! You are visitor number 6,780 to this page.